The secret behind the success of the Auriderm line of valuable products in skin care therapy lies in its use of Vitamin K Oxide. This powerful vitamin/iron formulation can help rebuild vasculature and reduce the formation of hemosiderin (an iron-storing complex found in blood cells that causes long-lasting bruising), often a result of some cosmetic procedures. With the reduction of hemosiderin in cells, blood can then circulate more freely, causing much less post-operative bruising. 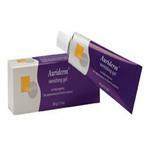 DrSkinSpa.com is an Authorized Retailer of Auriderm. All Products are Guaranteed Authentic & Fresh. 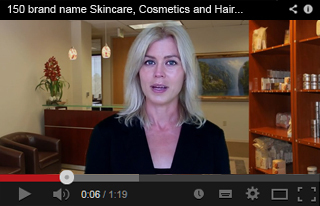 When it comes to aesthetics and beauty, Auriderm is a proven leader in the skin aging cream market. From ridding your face of dark under eye circles to helping repair the skin from post-operative bruising, Auriderm’s scientifically proven skin care products work to bring beauty back to life. 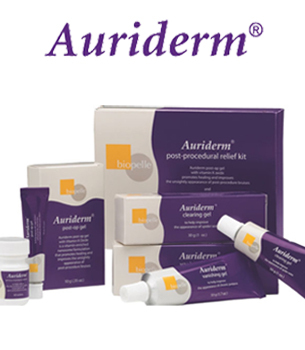 With the formulation of Auriderm, Biopelle has made a product that greatly improves bruising, dark circles beneath the eyes, the appearance of spider veins, and embarrassing skin discolorations caused by bleeding underneath the skin’s layers. Auriderm has made it possible for anyone who is unhappy with her outward appearance to be pleased once again to look in the mirror and smile. Dark circles under the eyes is a particularly troubling issue for those who are getting a bit older and seeking a powerful aging cream that will work magic. Thinning of the delicate eye-area, a natural occurrence of the aging process often causes dark circles. As the skin beneath the eyes gets thinner, it is more prone to wrinkling. The thicker padding of younger skin becomes lessened, making the eyes appear to be hollowed out and more aged. Weakened vascular blood vessels beneath this thinning skin can now become more visible beneath the thinning dermal area, making it look dark and shadowy. A double-duty anti aging skin cream, such as those in the Auriderm line, will greatly diminish the dark shadows and become your favorite anti aging skin care solution. But Vitamin K Oxide has many other excellent reasons for being a key ingredient in Auriderm. It is a proven healer, reducing the time needed for the healing of wounds, both traumatic and post-surgical, including laser surgery. 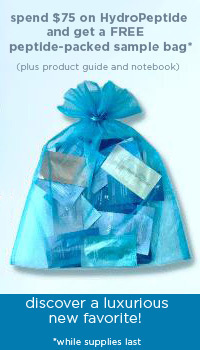 It prevents broken capillaries, leading to unsightly spider veins. 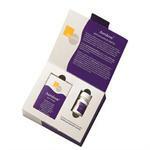 Auriderm includes a Post-Procedural Relief Kit as part of its important role in bringing damaged skin back to normal. 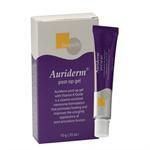 The Auriderm Clearing Gel takes care of ugly, purplish marks on the skin and beneath the eyes with its ability to re-strengthen capillary walls. It gets rid of the hemosiderin (pooled blood that bruises) and speeds up the healing process. Their Vanishing Gel can achieve similar results, especially for discolorations. 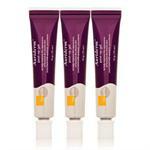 Those looking for anti aging skin solutions will find a new lease on life with Auriderm’s Illume Eye Cream. This aging cream solution will alleviate dark under eye circles as it also gets rid of puffiness and adds light and life to the entire facial area.